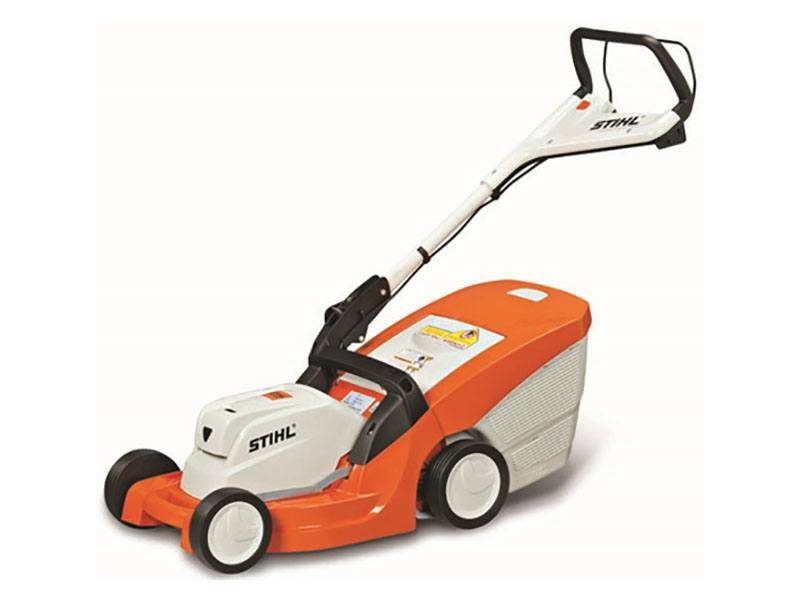 A convenient and lightweight walk behind battery-powered lawn mower with a larger cutting swath than previous model and upgraded cutting features. Say hello to the clean, convenient power of the RMA 410 C battery-powered lawn mower. Featuring 36-volt Lithium-Ion battery technology and quality STIHL engineering, this lawn mower is perfect for homeowners looking for lightweight, no-mess, no-hassle mowing for small to medium sized properties. The RMA 410 C features a brushless, commercial-grade 900-watt electric motor that provides 50% more power than previous model. Much quieter than gasoline-powered lawn mowers, it is the ideal mower for noise-sensitive areas. And when you’re done, just fold the handle down for easy storage.